Buying a first car is something that many Canadians look forward to each year. If you preparing to purchase your first automobile, here is some advice that may come in handy. 1) Make needs a priority, not wants. Although automobiles are equipped with many incredible features and accessories, try to focus on your driving habits, lifestyle and budget. Buying a vehicle that doesn’t fit all of your needs can be costly mistake. 2) Conduct proper research. There is a wealth of information available about auto brands, dealers and manufacturers, so don’t neglect the information-gathering stage of the buying process. Read automotive magazines and newspaper reviews. Visit manufacturers’ and dealerships’ websites, YouTube channels and other social media sites. 3) Ownership costs. Low interest rates and high rebate figures are attractive. But those incentives don’t tell the whole story about ownership costs. 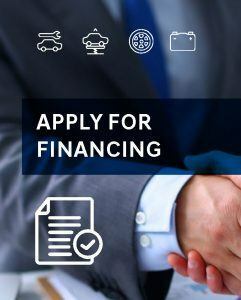 There are many costs associated with buying and operating a car (i.e., insurance, the cost of borrowing, fuel, maintenance and repairs. Establish a budget and stick to it. 4) Financing. Credit worthiness determines whether a bank will extend someone credit to purchase a vehicle, and on what terms. Maintaining good credit history is critical getting financing approval. Know your credit history before you initiate the sales process. 5) Choose a reputable dealership. Dealerships do their best to provide an optimum buying experience. They work with all types of buyers, from first timers to repeat customers. Buying a vehicle from a private seller is an option, but remember when you choose to buy privately, there are no consumer protections and it is always buyer beware. 6) Vehicle reports. Purchasers of pre-owned vehicles should request a CarProof report to determine a vehicle’s true condition and history. CarProof adds transparency and confidence to the buying process. 7) The right fit. Test drive several vehicles before making a decision. Comfort level should be an important criterion. If something doesn’t feel right during a test drive (seating, instrumentation, head room), don’t imagine that it will eventually improve with time. 8) Enjoy the experience. Part of the thrill in buying a first car is the process. Don’t be intimidated by industry jargon and proceed at your own pace. If there is something you don’t understand, ask a friend or family member for help.